Myk Londino didn't expect e-cigarettes to lead him to his life's work. He just wanted to quit smoking, and nothing else had worked for him. But after vaping helped him ditch cigarettes, he fell in love, as he put it. He decided to dedicate his time to helping others switch from cigs to their electronic cousins. Three years later, the 29-year-old is manager of Vape O2 in Philadelphia and runs two vape-related companies, one on his own and one with friends. E-cigarette users report feeling less dependent and addicted than traditional smokers do, according to a recent study. 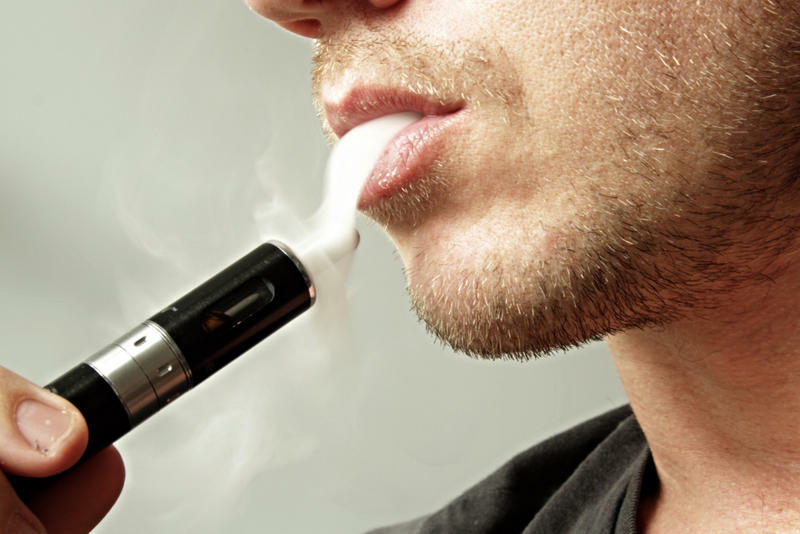 Even so, researchers don't believe e-cigarettes are safer than smoking tobacco. This story was updated at 2:51pm on Wednesday, March 8, 2017. Allegheny County Council voted to ban the use of e-cigarettes and vaping devices in all public places where smoking is also prohibited after a lengthy debate Tuesday evening. Residents on both sides of the issue spoke passionately about whether people should be allowed to vape in restaurants, theaters, retail stores, athletic arenas and other public spaces. 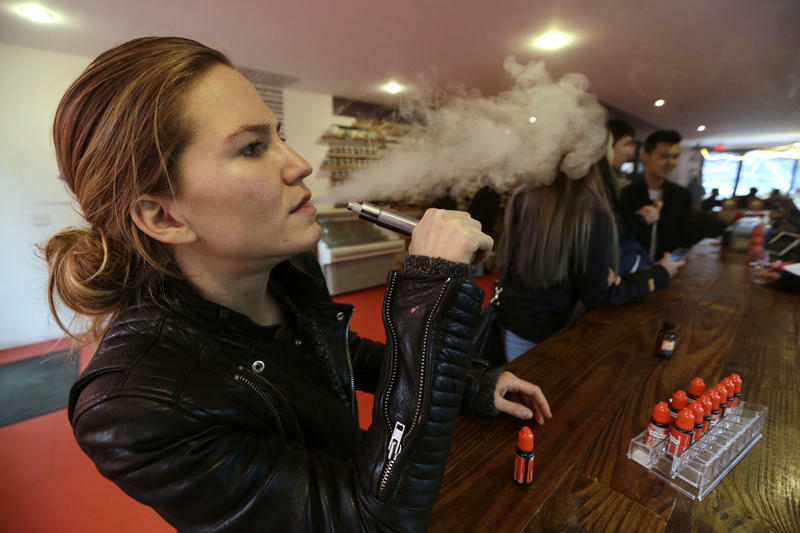 Nearly 600 counties and municipalities across the nation have enacted restrictions on e-cigarettes and other forms of vaping in existing smoke-free public venues, according to the American Nonsmokers’ Rights Foundation. The Allegheny County Board of Health has placed e-cigarettes under nearly all of the same regulations as traditional cigarettes when it comes to use indoors. The vote Wednesday came after a series of speakers asked for the policy to be rejected. Former smoker Dale Ray spoke in opposition to the regulations. He said he had diminished lung function due to his smoking habit. He said tried to quit smoking several times but it never stuck until he tried e-cigarettes. The Allegheny County Health Department heard public testimony Monday on proposed e-cigarette regulations. The ban would apply to places where smoking is also currently prohibited under the state’s Clean Indoor Air Act. This includes schools, hospitals, restaurants, public transportation, sports facilities and theaters. 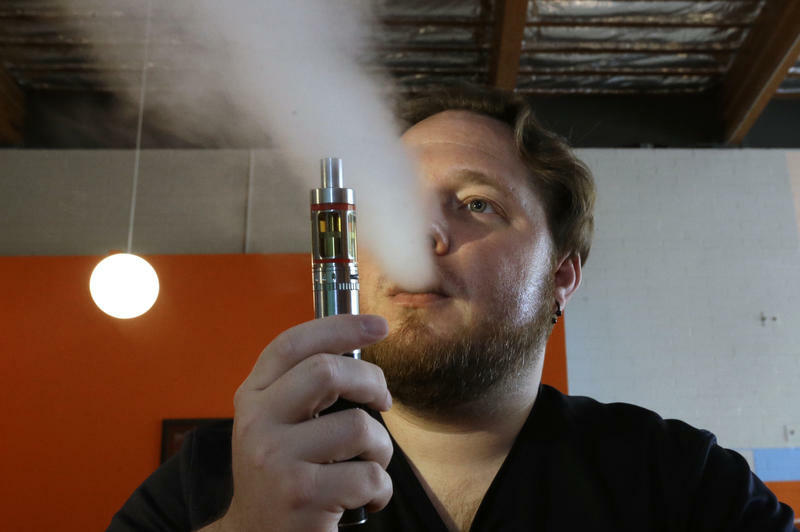 The Allegheny County Health Department is seeking public input on a proposed rule that would ban e-cigarettes and vaping from many indoor spaces. A public hearing on the proposal is scheduled for Monday at 1 p.m. 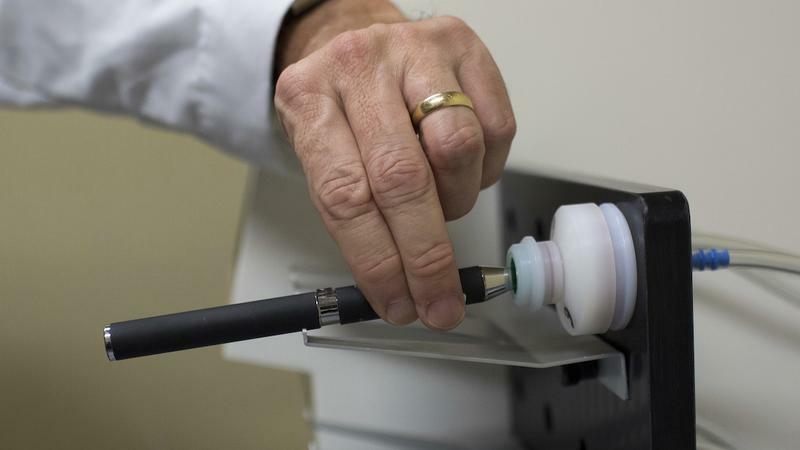 This story was updated May 5, 2016 at 9:55 a.m.
County health officials want to ban the use of e-cigarettes and vaping devices everywhere regular cigarettes are already prohibited. Members of the Allegheny County Board of Health have instructed health department officials to come up with a policy by the board's next meeting in July. 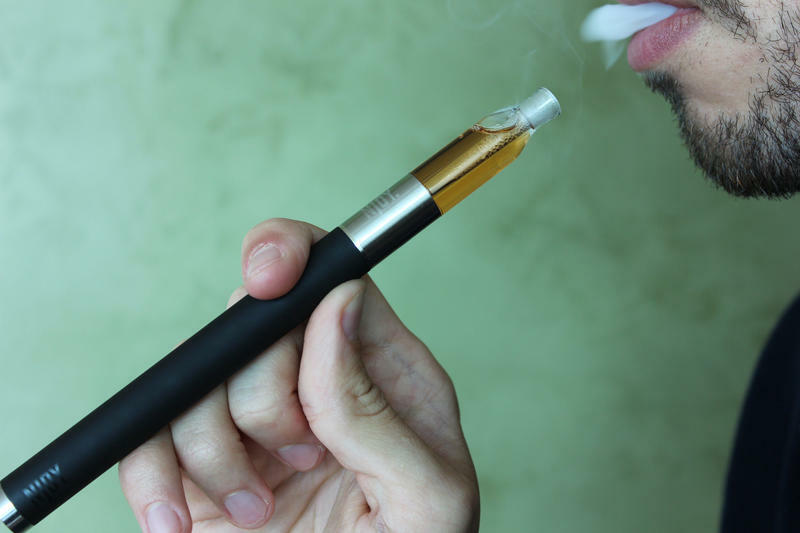 E-cigarettes are marketed as a healthier alternative to smoking traditional cigarettes. 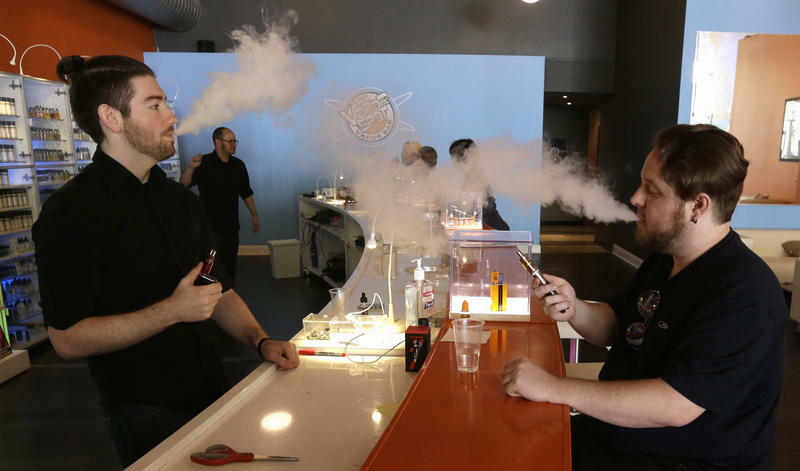 The use of e-cigarettes, or vaping, is on the rise in popularity among adults and teens. Since it’s a new technology, the health effects aren’t fully understood, but officials are warning that small children could be at risk from exposure to the liquid used in e-cigarettes.